At first take a bowl in that add sieved gram flour, ½ tea spoon salt and required water then mix well. The batter should not be too thick or too thin. It would be perfect bonda batter consistency then keep it aside. Now take a heavy bottom pan in that add 2 kilogram sugar and 1 and half litter water for making sugar syrup. Touch the syrup using your finger and check whether it is one string consistency or not. If sugar syrup attains the stage of one string consistency means switch off the stove and keep it aside. 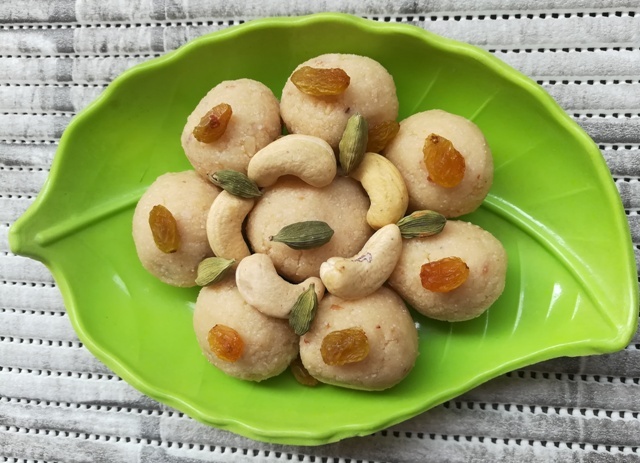 After prepared sugar syrup now take a frying pan, in that add oil for frying, when it is heated pour gram flour batter with the big ladle, wait for a minute and then tap in circular motion till batter completed in ladle. Now wait for a minute then stir the boondi in oil and take it out when it become golden yellow colour. Pour fried boondi in sugar syrup and mix well using thuduppu. Same process should be done for making boondi till all the batter completed. In mean while take a mini pan in that add ghee when it is heated add cashew and raisins then fry it become golden yellow colour. Next add fried cashew and raisins into the boondi mixture and mix well. In this stage if you want means add cloves, edible camphor and small sweet candy in to the boondi mixture and mix well. ( Don’t smash boondi too much). Next transfer the south Indian boondi ladoo recipe in serving plate. After 15 minutes transfer laddu in air tight container and use it for maximum 10 days. 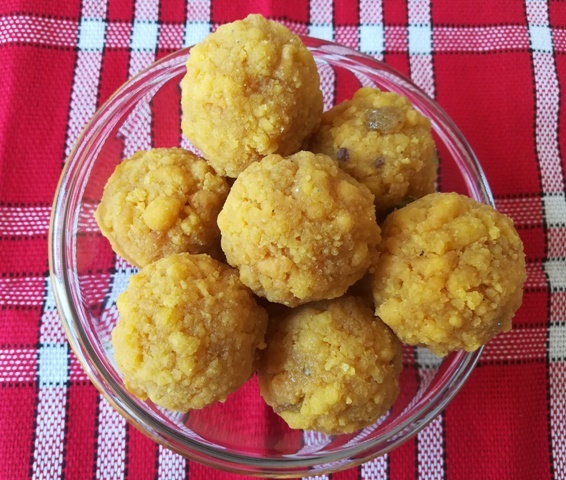 Now traditional and Easy Perfect Boondi Laddu is ready to serve. 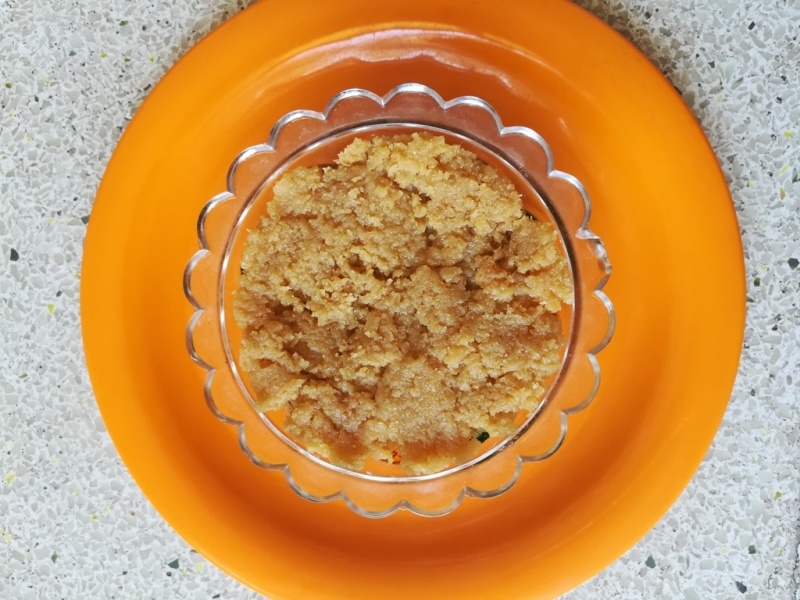 The gram flour batter will not too thin if it means it absorb lot of oil in boondi. So check the correct consistency of batter. 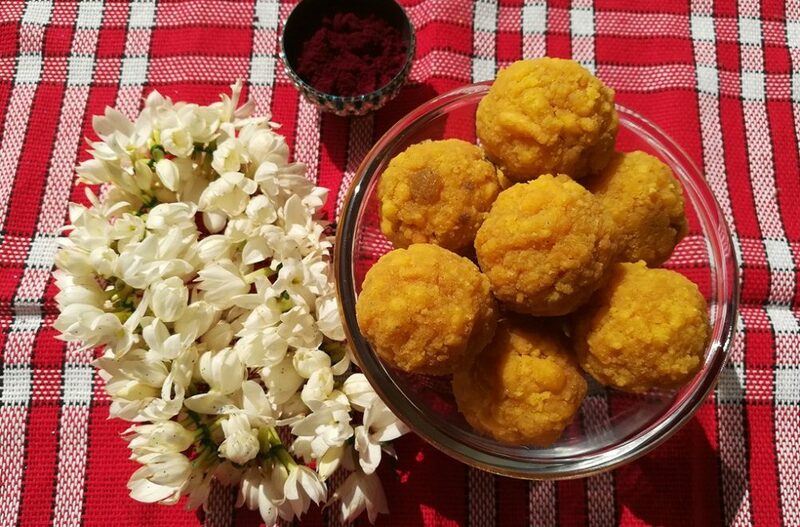 If your children like laddu means don’t add cloves and edible camphor, some children’s are don’t like that flavour. 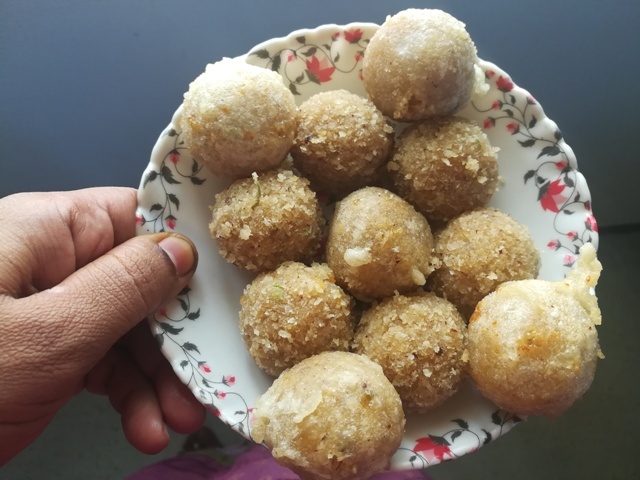 Sugar syrup consistency is very important for making laddu. If we miss the correct consistency means total process will be waste. So take extra care for making sugar syrup.